20 | Visualizer: 3D World NYFinally, a musically-inspired office with a desk that could easily have been home to a Beatles contract – if it weren’t for that MacBook perched on top. 17 | Designer: Agnieszka GraczykowskaThe hanging storage units on either side of this simple desk are both stylish and practical. Even the dangling plants serve their own air purification purposes. 6 | Designer: UgmonkWith space to spread out and a desk to focus, this sleek and organized office is the perfect space for the fashion forward. The hanging terrarium bulbs are a particularly creative touch. With the advent of the internet, the idea of a workspace has transformed into something much more than a sterile desk in a gray cubicle or even a plank of mahogany in a corner office. So many jobs now encourage employees to work from home, and even more artists and designers are inspired to work from beautiful spaces they create themselves. 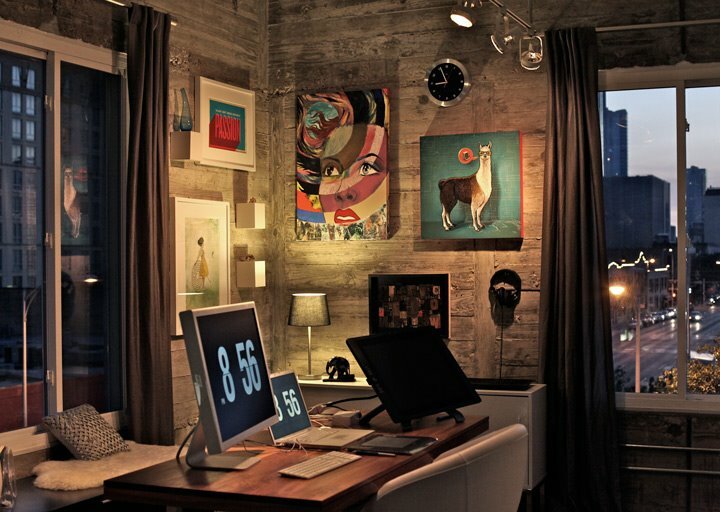 In this post, we’ll explore 20 gorgeous and inspirational workspaces where anyone would be lucky to spend a day. 18 | Designer: Engrave StudioOf course, a well organized desk is key to a successful workspace design. Matching wood desk elements are just one way to encourage yourself to keep things as organized as they can be. Design ideas for sewing nooks, art studios, and other places to get creative. 7 | Source: NY TimesWhat’s more inspiring than a cabin-inspired nook of your own? The wood paneling behind this wall is the ultimate in rustic and there’s not a computer to be seen. Even little details like the trash basket stand out. Jodie and her dad, Robert, run their Etsy shop from his and hers workshops in England. 4 | Visualizer: Taner CandanFor a cozier, craftier office that would fit nicely into someone’s home, we have this white washed room with sparks of playful yellow. Suspended shelving above the desk let the owner display personal effects, and create a warm and personal atmosphere. 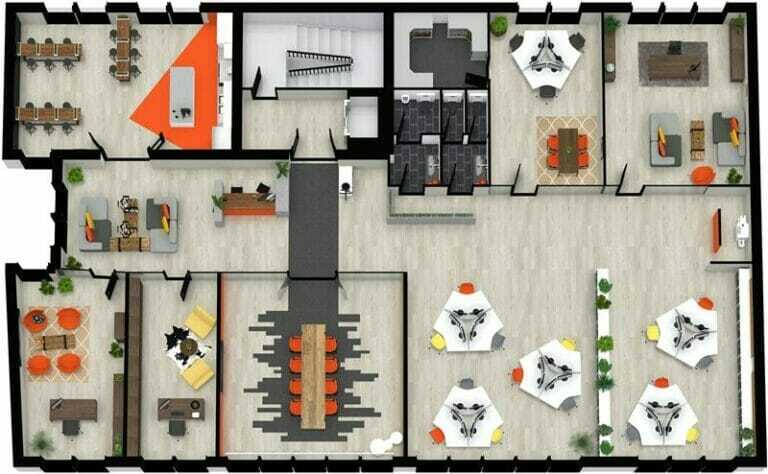 5 | Via: Lezoe MusingsA design team that works side by side needs space and boundaries. This two person desk with matching Eames chairs might not fit the bill for everyone but its simplicity is divine. 1 | Photographer: Soopakorn SrisakulIf you live in the right climate, fresh air and sunlight can be just the creative boost you need in your workspace. This beautiful wood and concrete bunker provides a hidden but open work area for multiple designers, artists, and creative thinkers. 2 | Visualizer: Anwar Al Jufrey KhalidIn a more traditional take on an office (meaning, it actually has a ceiling), we find this industrial-inspired space with plenty of dark colors and sleek lines. No distractions to be found. 16 | Architect: Cell Space ArchitectsPerched on an upper level of a secluded cabin, this spacious workplace is something Thoreau might have longed for. Simple, rustic, and clean. 19 | Designer: Alp GermanerThis desk concept is specifically designed for those people who use a laptop, desktop, and need space for sketching and storage. 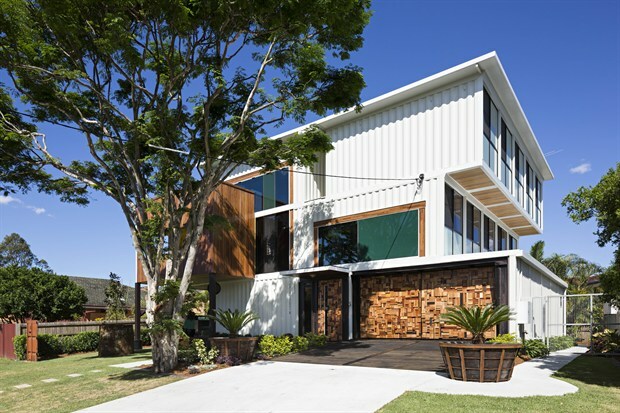 Its creative design is sleek and practical. 8 | Designer: ZE Workroom StudioSometimes a home office needs to find space where it can. 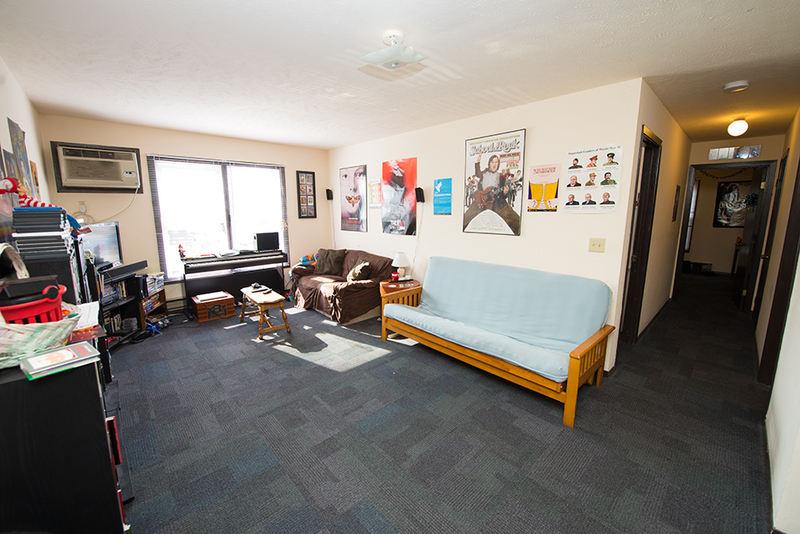 Here, a cozy and clean workspace is nestled neatly between a television and closet. This leatherworker transformed an abandoned elementary school in Amsterdam into her dream studio space. 3 | Visualizer: Saimir BrahoThis sleek drafting table gives its artist owner plenty of space to spread out while a white brick wall can reflect light as well as ideas. 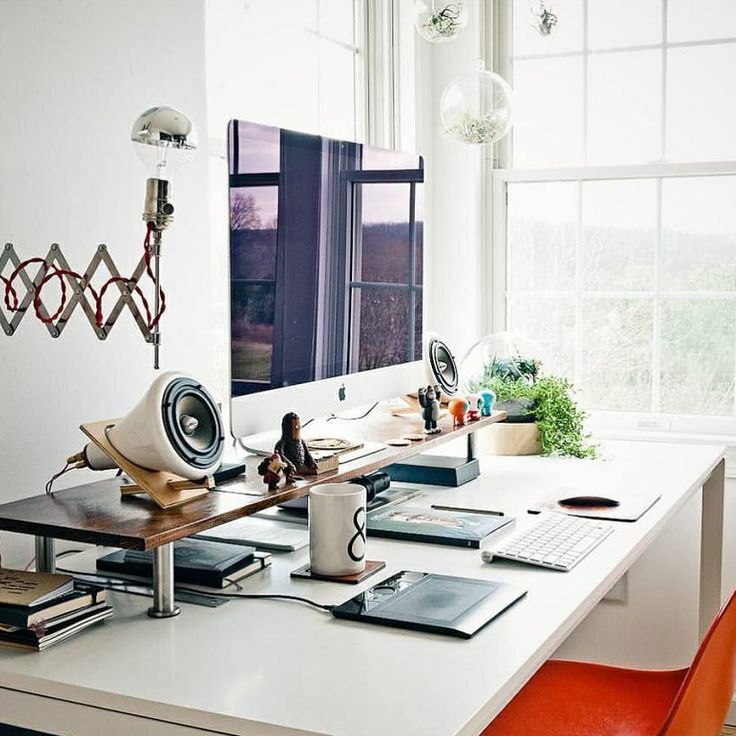 15 | Designer: Endri HoxhaThe creative storage nooks is this desk are overshadowed but its spectacular placement. It’s the top of urban office design – though the direct sun might get to be a bit much in the summer. 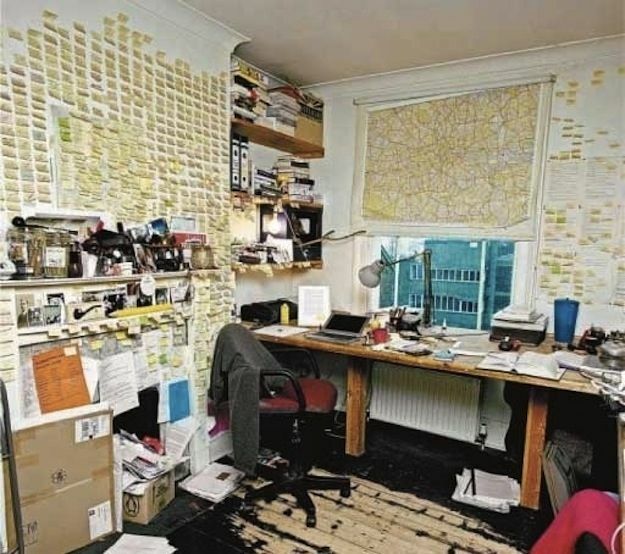 10 | Visualizer: Jung wook HanSome artists may find it distracting to face a window, but here the sunlight actually provides another work surface for Post Its, which is nothing if not creative. 13 | Visualizer: Nicolas JuncoIt is a successful executive who finds herself with this kind of view. 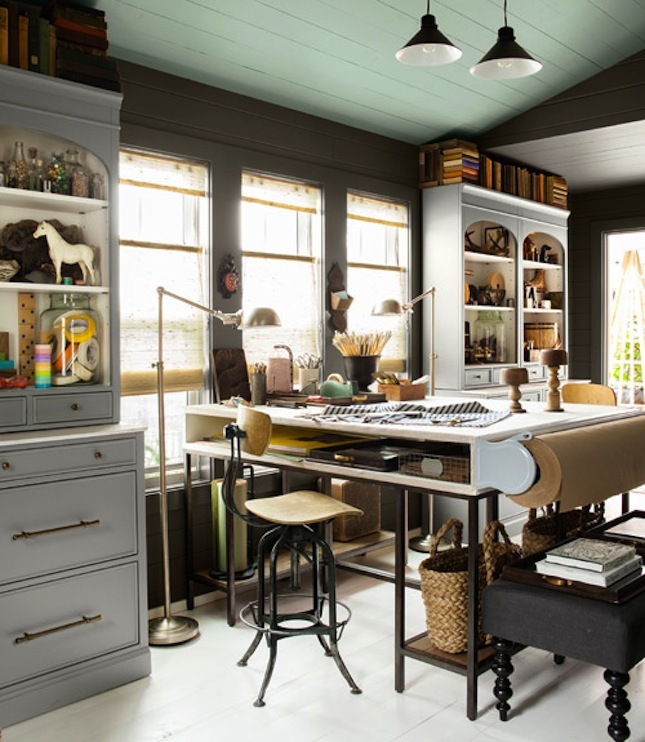 11 | Visualizer: ChD StudioThe playful textures in this cheeky home office, from a fuzzy rug to a plastic molded desk chair are both practical and playful. 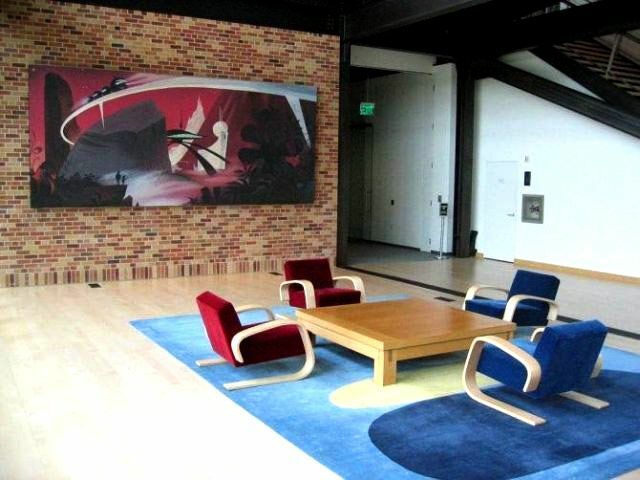 9 | Visualizer: YimLeeThe ombre spectrum used in this minimalist workspace is entirely relaxing. From cream to gray to black to time to get to work. 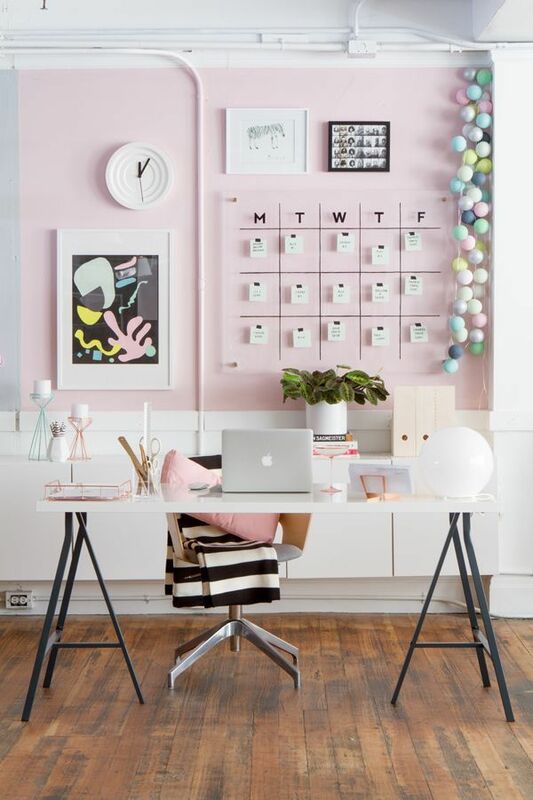 14 | Designer: Fajno DesignWhether it’s a crafting area for mom or a study space for daughter, this cozy little office nook has the bare essentials plus bit of pretty pink.